Maps-GIS provided a one-hour workshop for high school students. The workshop activities include a 5 minute video "The Geospatial Revolution," a short PowerPoint presentation, and time to explore the MAPS-GIS Web-based tutorial. MAPS-GIS hosted an information table at the resources fair. The fair focused on providing career-path information for local workers who have been laid-off or people who are facing unemployment. Over 40 people stopped by our table to get information about our program and to view current student work. Six students from the GIS 248 Applied Projects class spent the day in Salem, Oregon. We hosted an informal poster sessions showing projects created during the winter Introduction to GIS class‚ GIS 246. The goal was to help legislators understand the importance of geospatial technology and the valuable role community colleges play in work-force training. The need for students to think geospatially and use geospatial technologies is becoming more critical as these tools and concepts are increasingly incorporated into a broad range of occupations and academic disciplines. MAPS-GIS, a project funded by NSF-ATE, uses Web-based GIS to embed data-rich lessons across the college curriculum. These lessons promote critical thinking and problems-solving skills as students explore data using Boolean Logic queries, create spatial buffers, and describe and evaluate spatial patterns and correlations. The lessons developed by MAPS-GIS are being adapted and used by middle and high school teachers in their curriculum as an analytic tool. This has the potential to teach important spatial skills and data literacy concepts as seen in other K-12 cross-curricular methodologies, such as Reading Across the Curriculum and Writing Across the Curriculum. MAPS-GIS offered two workshops to help teachers learn to use Web-based GIS across the K-12 curriculum. Eighteen in-service and pre-service teachers participated in the workshops. This year the OGA summer institute will feature a full day workshop dedicated to using geospatial technologies to teach the geography of Oregon. Using MAPS-GIS Web-based GIS in the K-12 Classroom. This is a three-hour professional development opportunity for middle and high school teachers. In this workshop you will learn how about Web-based GIS options to traditional Desktop GIS for in-class use. This workshop emphasizes how to address the Oregon standards related to GIS use for 8th grade and above. An increasing number of fields are adopting GIS to enable visual/spatial representations of data, solve spatial problems,and combine quantitative data with qualitative analysis. However, most students are not introduced to these skills until upper division GIS-specific coursework. As a result many basic GIS tasks are performed by personnel with little training in spatial data or GIS. Lane Community College in Eugene, Oregon has developed web based GIS lessons for Science and Social Science curriculum to improve spatial literacy and provide a solid foundation in geo-spatial principles. 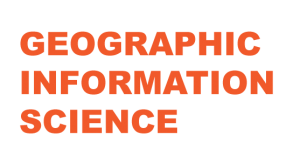 Introduced are quantitative and qualitative results assessing the influence of web based GIS lessons on students across a multi-disciplinary curriculum. Survey tests designed to evaluate student's self-efficacy and spatial literacy were administered before and after module implementation for courses in multiple disciplines. This paper will discuss these findings and anecdotal insights into the effectiveness of modules and how these modules affect students' perceptions of GIS. Showcase of the MAPS-GIS four-course sequence and the embedded Web-based GIS modules. Ben presented the work he has done for Willamalane Parks and Recreation. Introduced are quantitative and qualitative results assessing the influence of web based GIS lessons on students across a multi-disciplinary curriculum. Survey tests designed to evaluate student's self-efficacy and spatial literacy were administered before and after module implementation for courses in multiple disciplines. This paper will discuss these findings. Anecdotal insights into the effectiveness of modules, student's comments, and strategies of how to engage students using GIS lessons will also be addressed. Abstract: We will demonstrate how teachers in elementary, middle and high schools are using the power of GIS to teach important geospatial concepts and reinforce geographic problem-solving without the expense or time of developing a fully functional GIS program. We will introduce several lessons developed and tested by pre-service teachers. Workshop participants will explore several lessons then work in teams to adapt excising web-based GIS maps and lessons for use in their classes. The workshop will conclude with teachers sharing their lesson design and ideas. This workshop is appropriate for teachers with little or no GIS experience and for teacher with access to the internet by who do not have the time or infrastructure to develop GIS classes. For the more experienced GIS users, we will provide information about designing and hosting your own Web-based maps. The session is designed to present a variety of topics and a range of GIS applications in physical and human geography. The illumination of issues impeding GIS use in education, promoting successful implementation of GIS to advance geographic literacy, and any other associated issues are appropriate. An associated paper session will precede this subsequent panel discussion on the topics. A 2007 GIS Day Celebrtion was held at Lane's Campus. GIS students organized a geocaching event. Prize drawing for 2006 Goode's Atlases were held thropughtout the day. Workshop presentation in using Web-based GIS across the college curriculum as a tool for geospatial skill building and course recruitment. Working in collaborative teams, instructors from multiple disciplines at Lane Community College, Eugene, Oregon, developed and tested embedded ArcIMS Internet-based GIS modules in physical geography, environmental science, oceanography, political science, and data visualization. This presentation will feature the final projects developed in the first year of the Mapping, Analyzing, and Problem Solving (MAPS) NSF-ATE grant, #0603492, to promote GIS literacy across the curriculum. Preliminary assessment results from instructor development teams and student users will be discussed and lessons learned from implementing Internet-GIS in the classroom will be presented. Although GIS is taught at the majority of colleges and universities in the United States, its use in the K-12 classroom has been limited. This, however, is rapidly changing as state proficiency exams increasingly stress geographic standards. This has led to a increase in the number of educators who are learning GIS and using it in the classroom. GIS is utilized as a tool to present visually attractive materials to students. Students are also taught to use the software so that they can engage in more active and problem based learning (PBL) activities. The introduction of GIS to the K-12 curriculum presents tremendous opportunities and daunting obstacles. The emergence of a GIS literate population of high school graduates also presents a new set of opportunities to enhance the higher education GIS curriculum, including GIS Certificate Programs, Web-based or "online" GIS, Community college GIS programs, and methodologies used to teach GISystems and GIScience. The purpose of this panel session is to bring together geography educators from all levels to discuss their experiences and share strategies for the effective integration of GIS into the curriculum. This session is the second in the "Active and Problem-Based Learning (PBL): GIS and the Educator" series and being sponsored by the Geography Education Specialty Group. Where does the community college fit into the future of geo-spatial education? A 2006 GIS Day Celebration was held at Lane's Campus. Information about GIS, GIS programs and GIS careers was provided. Students participated in informal GIS awareness surveys and entered a drawing for prizes donated by the Lane Book Store and The Ren Room.